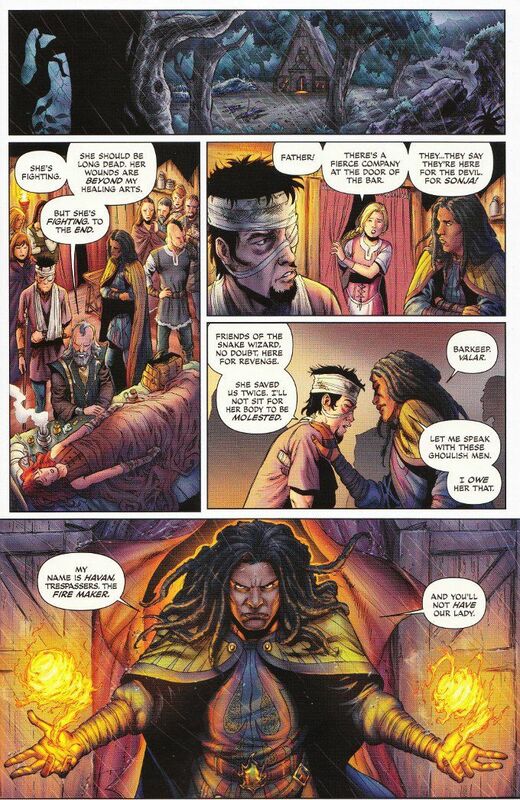 The evil wizards which lay siege to a town lie dead and Red Sonja is not far behind them. Now, as the villagers she has given her all to save face those who have come seeking the She-Devil in her moment of weakness, Sonja must fight the battle of a lifetime... literally! For Death herself has come to press Sonja into her service and, as always, Sonja refuses to go without a fight. 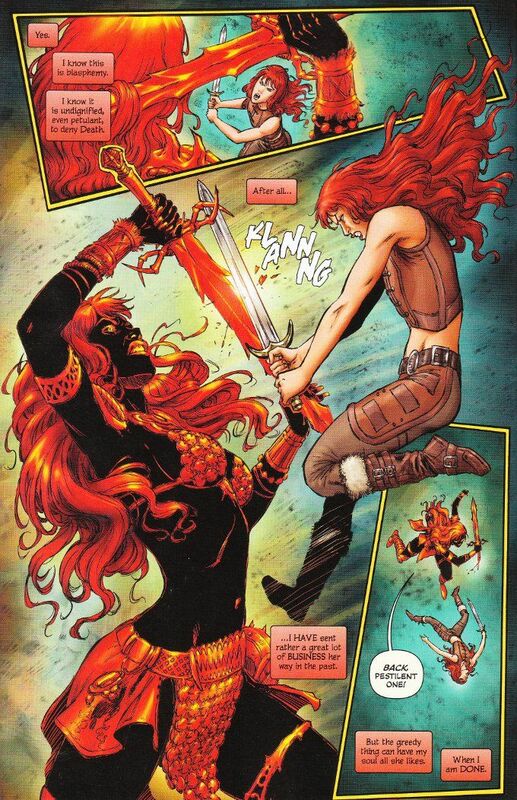 I've written at great length about the wonder of Gail Simone and Walter Geovani's run on Red Sonja. Yet I can say without hyperbole that this may be the best issue of the series yet. Indeed, the whole of the series so far- grand as it is - exists only to bring us to the many moments of glory this issue holds. I can say little more without spoiling the saga so I will say only this. If you are a fan of fantasy in any form, capable heroines and high-adventure, you owe it to yourself to read this book. It is a true treasure and one of the best books on the market today.